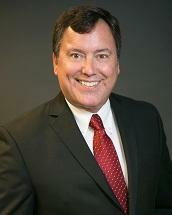 Michael McNamara concentrates his practice in civil litigation, criminal prosecution and defense, and municipal law. He earned his J.D. from the University of Detroit in 1993, and also holds a degree in political science and minors in criminal justice and marketing from Eastern Michigan University. Michael's litigation experience is an essential asset to the Fausone Bohn team and its clients. Prior to joining Fausone Bohn, he worked at one of Michigan's largest law firms working on everything from medical malpractice to product liability to business law. In 2003, Michael briefly left the firm to take on the role of Assistant City Attorney for Westland, working out of Angelo A. Plakas & Associates. In 2009, he rejoined Fausone Bohn. Over the years, he has tried hundreds of cases across the spectrum of legal specialties, representing clients in state and federal courts. Today, Michael is a jack of all trades, focusing his expertise on municipal law, criminal and civil litigation, business law and real estate.